Something to Muse About: Critically acclaimed Tobias Persson "MAN PÅ PROV" on Sweden tour this fall! Critically acclaimed Tobias Persson "MAN PÅ PROV" on Sweden tour this fall! 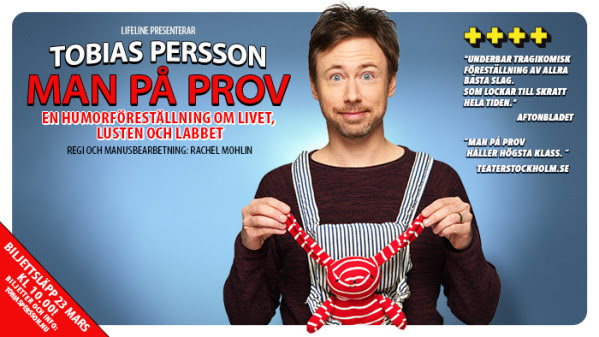 Comedian Tobias Persson and "Man på prov" was received with standing ovations and rave reviews during the spring tour. Now we are pleased to announce that Tobias brings his critically acclaimed comedy show - directed by none other than Rachel Mohlin - further out on the big tour in the fall. It is specifically in 12 locations around the country where it is now clear that "Man på prov" will be played. "You who love babies so much, why not provide NI children ?!" If Tobias Persson received a dime for every time the question is asked, he had almost not had to take bank loans to countless IVF attempts. 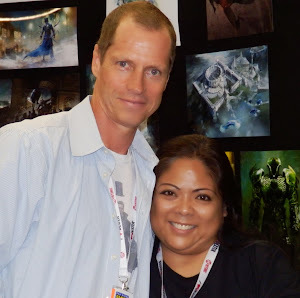 - For four years I delivered tubes in the daytime and stand up comedy at night. In addition, I stood in adoptionskö, went parent education, made the "values clarification" from hell, trying to keep the marriage alive, says Tobias Persson. Humor show "Man på pro" is a deeply personal story about the longing for children. "Man på prov" is anything but heavy and serious - after 17 years in country's humor scenes, with the prize "this year's male comedians' luggage, screenwriting, countless television and radio appearances Tobias has the ability to put a twist on the gravity without trivializing . Audiences are treated to liberating and at times black humor - everything from a father's perspective.